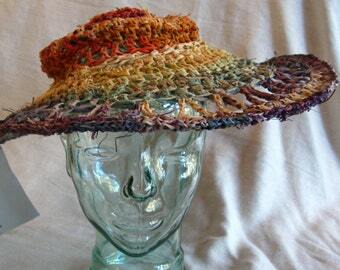 Hand crocheted hand dyed raffia hat, this San Diego Sombrero features a crocheted cactus on the side at a jaunty angle. 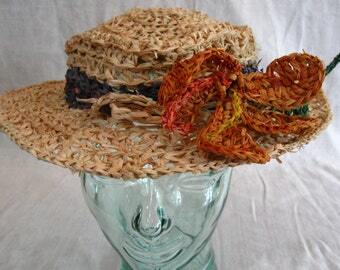 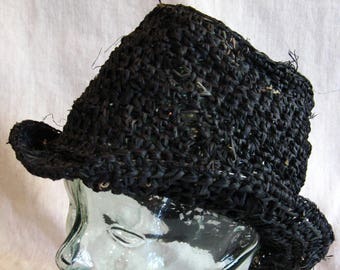 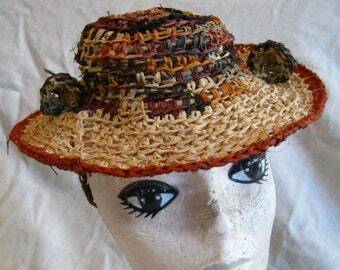 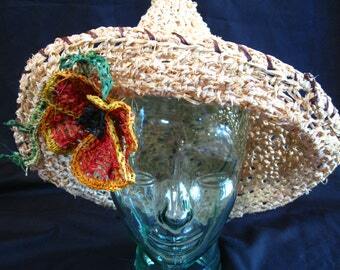 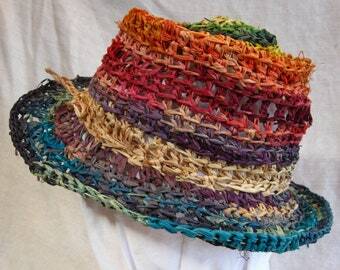 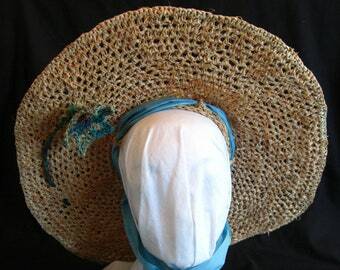 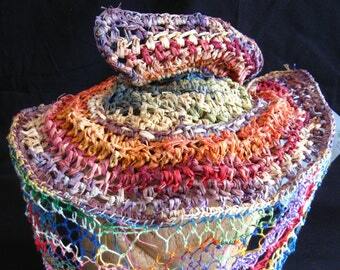 The hat is crocheted from a variety of earth tones and natural raffia with brown lacing around the brim. 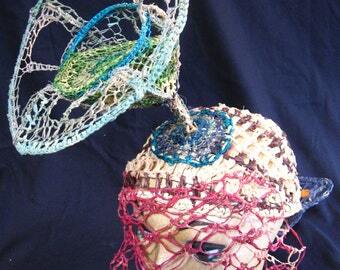 Floppy and posable. 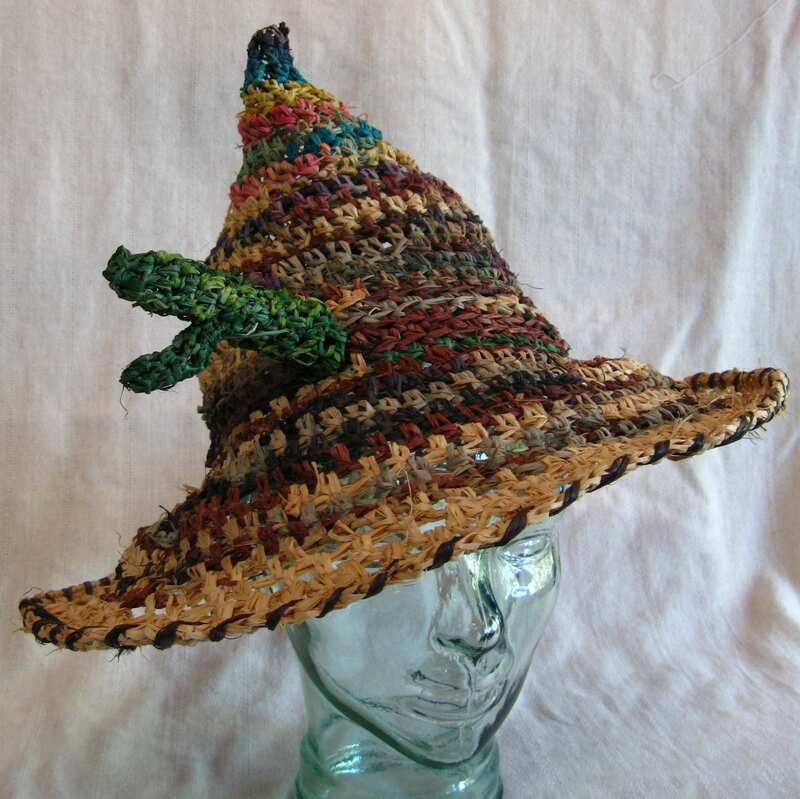 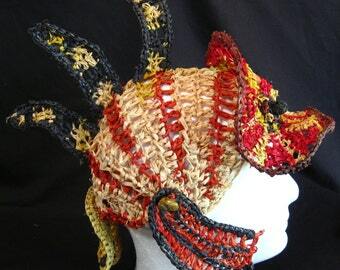 This hat can also serve as a witch or wizard hat for Halloween.